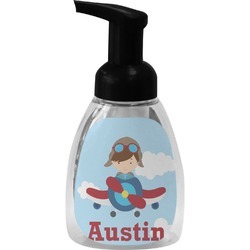 Do you have a little man that loves planes? 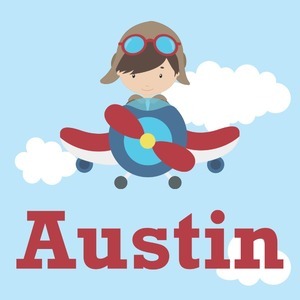 Soaring through on a backdrop of a beautiful blue cloudy sky is our fun flying aviator piloting his own personal plane brightly colored in shades of red and blues. 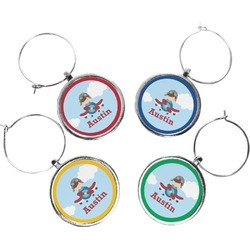 Don't forget to add that special touch by customizing the design with your little guy's name.